With all the rain I am already starting to think about Summer! 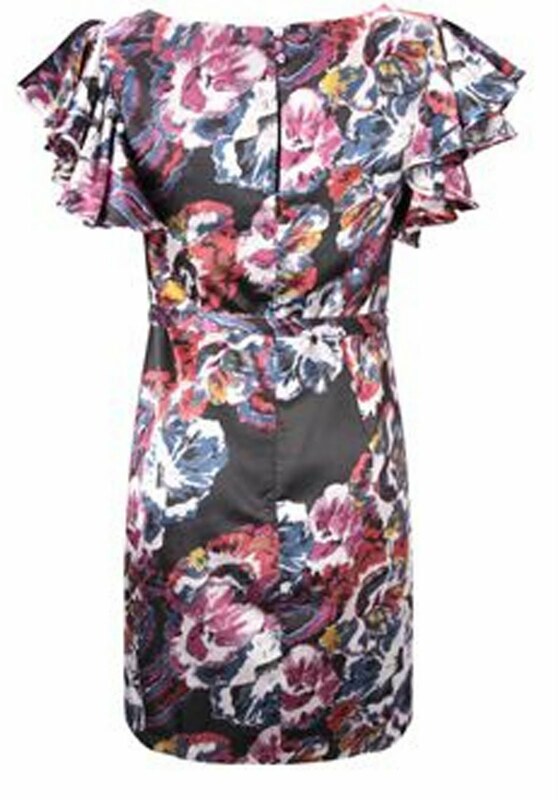 Have found a couple of pieces that I can't wait to wear once the sun starts shining again. 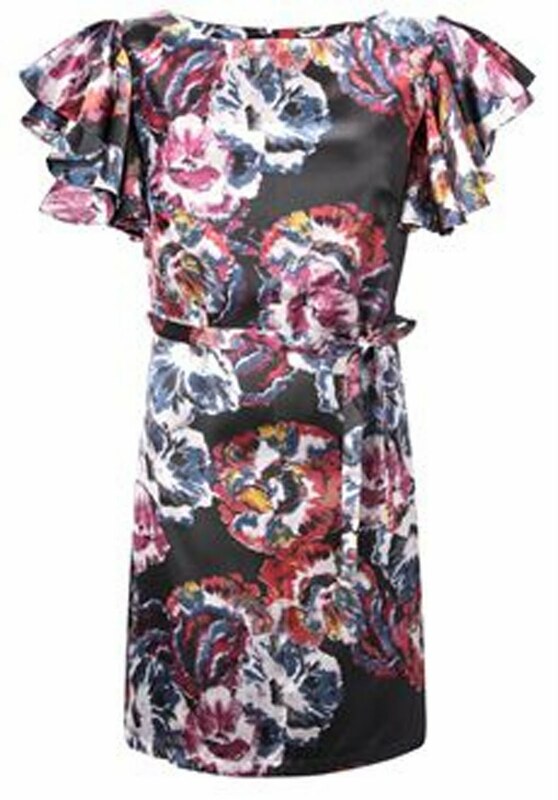 This dress is from Primark and I was immediately drawn to the print. It reminded me of vintage fabric and even though every other person will probably have this dress I still think something about it is unique and interesting. These sweet frilly shoes were found in the Topshop sale! I am very pleased I have finally bought these shoes as I have been lusting after them for quite some time!! They were perfect to go with a dress that I had for a wedding. Here is the dress, it is from Great Plains and I snapped it up at a French Connection Sample sale for £15!!! 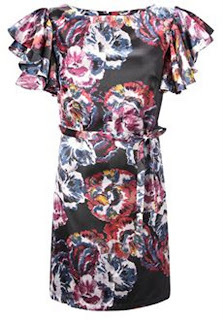 So as you can probably tell I will be wearing some frills this summer - and I can't wait!! Hope you are all staying warm and dry!! 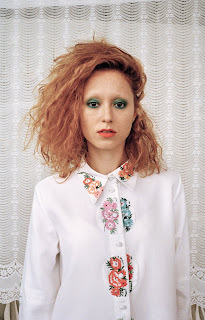 This week I did an interview with Jo Whitby from the Music and Culture Webzine Cat On The Wall. Please check it out here. 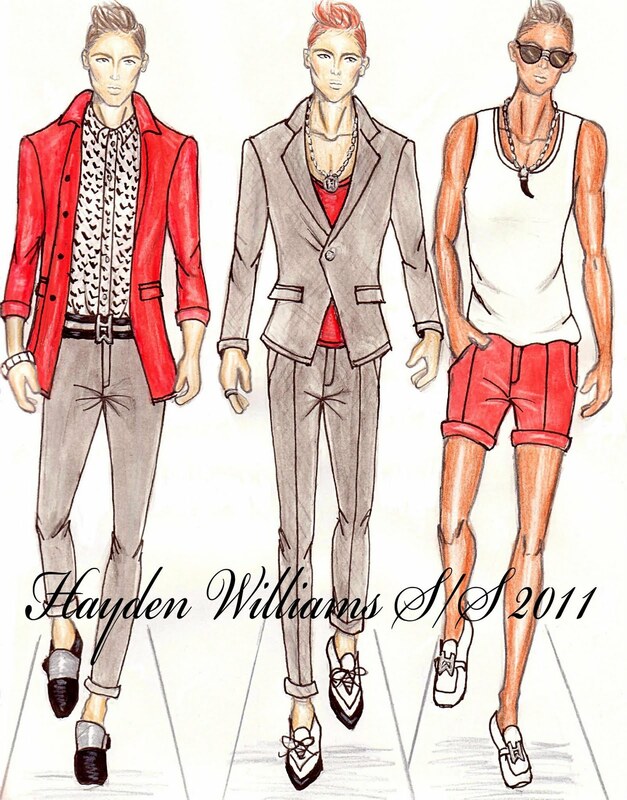 I have been meaning to post about this young designer for quite some time. 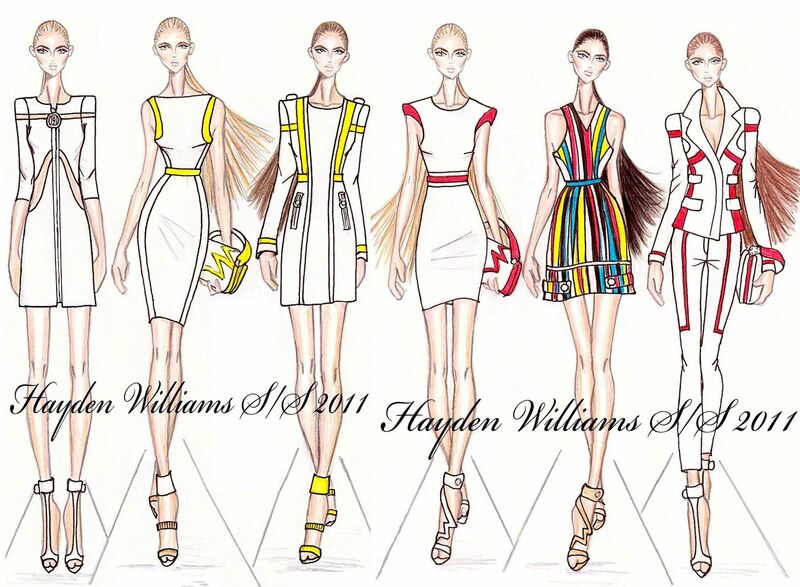 I discovered Hayden Williams through twitter and he is a lovely guy to talk to and talented to boot. His illustrations are beautiful. 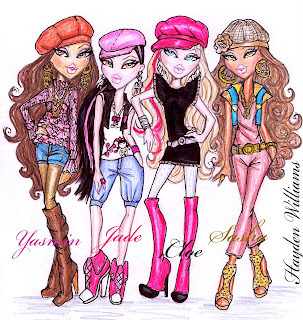 From striking catwalk models to Bratz Dollz and Barbie Hayden is oozing with talent. I have been following his body of work for awhile and thought it was time to find out more about him! How long have you been drawing for? I've been drawing since the age of 3 and haven't stopped since! It's like an addiction... I was always an artistic child and I haven't changed now I'm a young adult! What is your main inspiration? My inspirations when I was young was Disney movies... I would draw the animated female characters over and over until I felt they looked perfect! I was obsessed with Jessica Rabbit too. She still is an influence on my work. When I hit my teens and realised fashion was the industry I was meant to be in. I started looking at designer brands, ad campaigns, fashion collections etc. 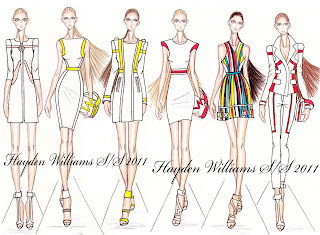 I started coming up with my own designer collections via illustration. 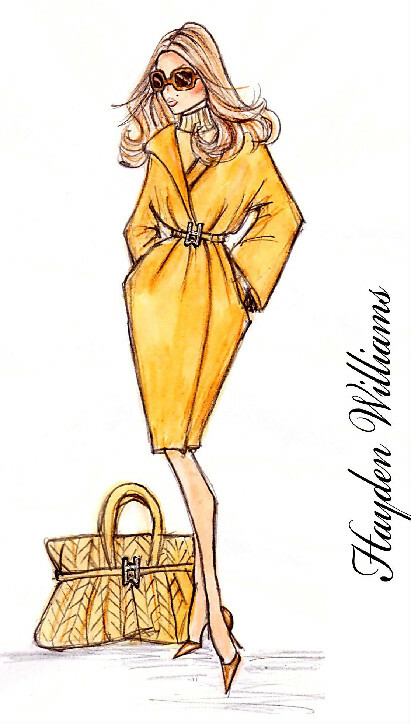 Designer brands like Versace, Michael Kors, Gucci and Jason Wu are all influences in my work as well as illustrator/designers such Robert Best who designs for high end Barbie. 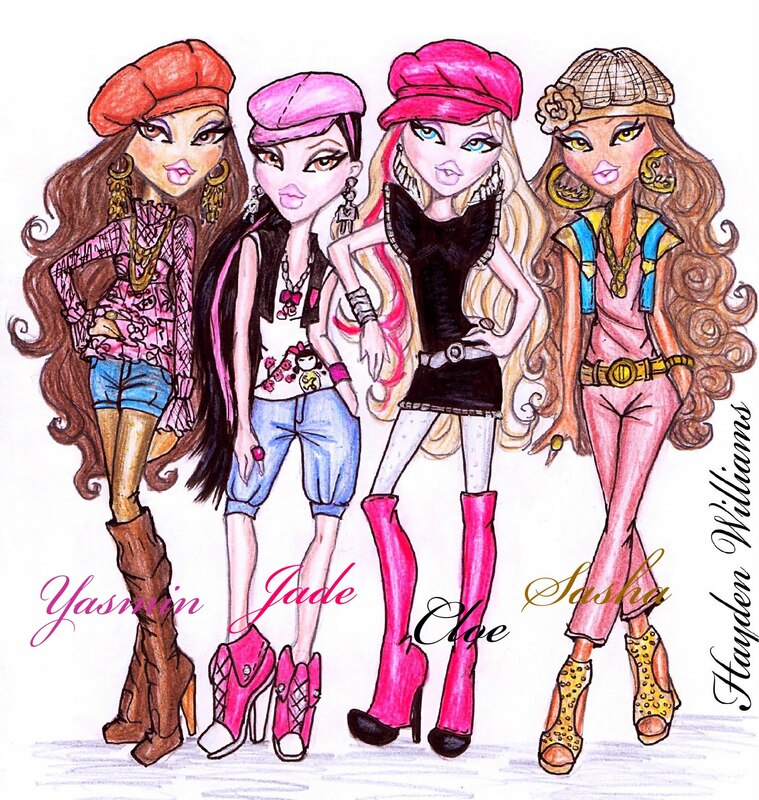 Your drawings are varied - from fashion designs to Bratz and Celebs - who or what is your favorite thing to draw? Hmm, that's a tough question!! It depends on what I'm inspired by at the time. The fashion designs I come up with have become a permanent fixture/compulsory for me but the illustrations I do of celebs etc are more of what I would call my 'IT' illustrations. I don't do them very often, but when I do... They serve the purpose for the hype and are very fun to draw! Overall though, I couldn't choose a fave thing... All of the things I illustrate are fun to do! What are you doing at the moment? I'm currently studying Fashion Product Innovation at Ravensbourne University. 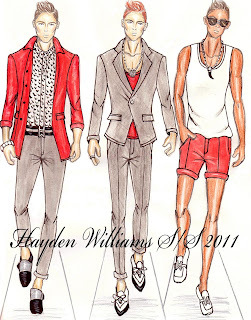 I'm studying Womenswear, Menswear, Promotion and more. It's a course that will prepare me for the industry i was born to be apart of! 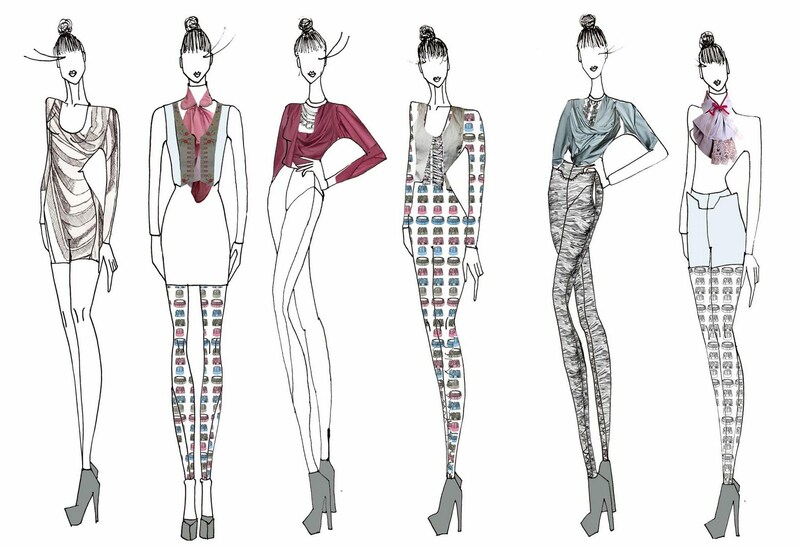 Other than studying and doing uni work, I always find time to do new illustrations and designs to keep things fresh!! And lastly what is your favorite out of your own work? Each one I do is unique and special in their own right haha! Every time I do a new one, it's my fave of the moment! 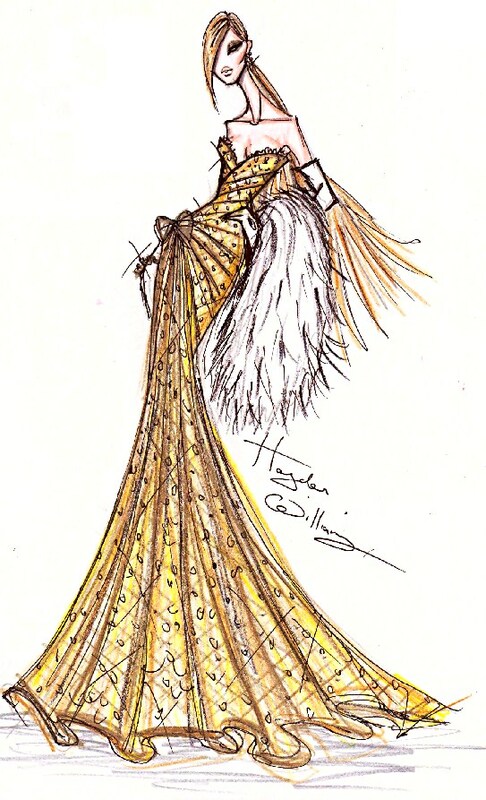 Have a browse of Hayden's work on his two blogs (blogspot and tumblr) and see if you can find your favorite. I have to say one of my favorites (one of many!) is the tapered trouser and classic white shirt combo - something about it is so graceful yet edgy. Hope you have enjoyed Hayden's work! Just thought this was interesting... Only Six have been made in the world - 1 in New York, 1 in Los Angeles, 1 in Kuwait City, 1 in Moscow and 2 in Las Vegas. Well it was my Birthday yesterday (5/1/11) and thank you for my birthday wishes! Had a lovely day and got very spoilt - which is always a good thing on a birthday. I visited Bristol Aquarium, I had never been. It was really great - lots of different types of exhibits from fresh water to the Amazon and the Coral Reef. Here are a few snaps I took. I also received a wonderful array of gifts and felt truly spoilt... I will share with you some of my favorites. And the beautiful frame in the background. And two sweet dotty tops from my parents. There is also a mysterious present that is yet to arrive due to delivery so I am interested to see what that will be. I also got given some fruity and floral bath stuff and yummy chocs! 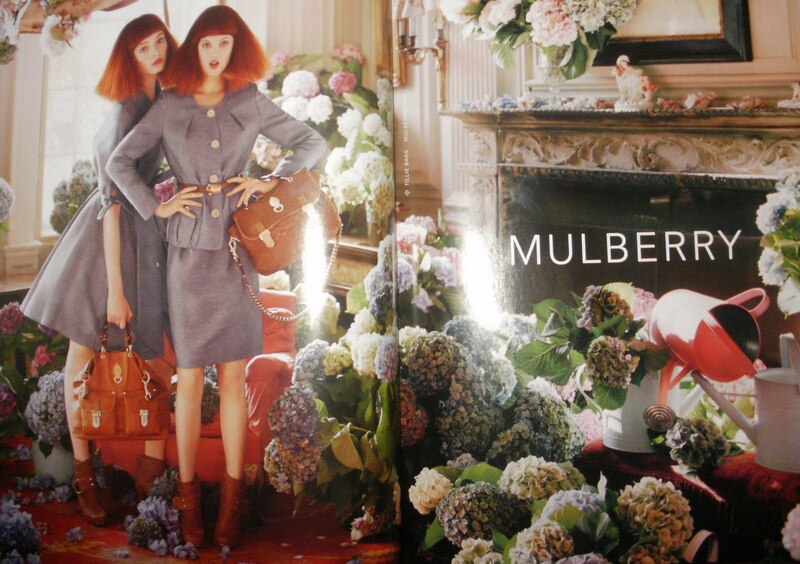 I received the February issue of Vogue today and whilst flicking through my eye was caught by this beautiful advert for Mulberry. The whimsy in this photograph is unmistakeably Tim Walker. The colours are wonderful and I love the extra touches with the porcelain dogs and watering cans. When I came across this image it just filled me with joy. I think it is because Mulberry is an English brand and this is so quintessentially English and slightly eccentric imagery that really draws my interest. And Happy Birthday to my blog! 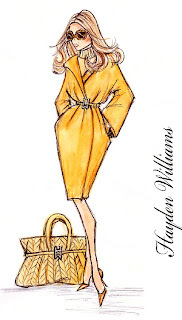 It has been a year since I started blogging as Fashion Fantasist and what a year it has been. I was not expecting this blog to turn out the way it has done. It started as a way to make a digital profile for myself and my designs but has turned in to a lot more. I don't think any of the opportunities I have experienced this year would have happened without this blog. It has helped me meet new people, I have been invited to fashion shows and events, I have written for other blogs and online publications and of course it helped (with Twitter) towards getting an internship with French Connection. Writing this blog has expanded my fashion horizons. If I have found a designer or piece of work I have found interesting or inspirational I have tried to make contact with the designer, which has been a very rewarding experience discovering other peoples inspirations and aspirations. A highlight of this year for me was to go to London Fashion Week!! I only went the one day and saw one show but it was amazing. As you all know I didn't shut up about it for posts and posts. Thank you to Kirsty Ward and David Longshaw who gave me that opportunity it was amazing to meet you both and I wish you the best of luck in 2011. At LFW I also met the team behind the hugely successful Young British Designers who I had the pleasure of writing a guest blog post for. Wonderful people who I think are doing exciting things for young British designers. One of the best and most challenging experience this year has got to be my final university collection. It was difficult to get in to the swing of things but through it I discovered a real interest in photographic and Trompe l'Oeil print techniques. 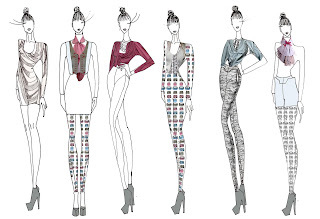 I am currently trying to create some garments that I can market and sell... But look out 2011 for that. I also experienced a real passion for meeting new people whilst helping with the PR for our University fashion show. I created a twitter account and managed to get the most coverage our university shows have had. It was also very flattering to have my work featured in an online publication. Going to shows to cover them as a journalist/blogger was something I was not expecting but it has been a real delight to do this for both Culture Candy and Guide2Bristol. Hopefully this will be something I will continue to do in 2011. All in All it has been a whirl wind of a year. 2010 has been hard work but I think 2011 will be even harder. I am going to be continuing to look for work, start creating more designs, keep working hard on this blog and keep talking to and meeting wonderful people. Of course like every new year my resolution will be to stop chewing my nails! Hehe! I hope you all had great years and thank you for reading my blog, following and supporting it. 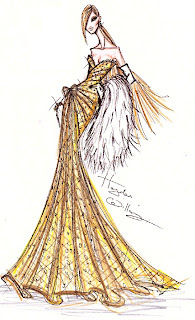 Wishing you the best 2011!! !